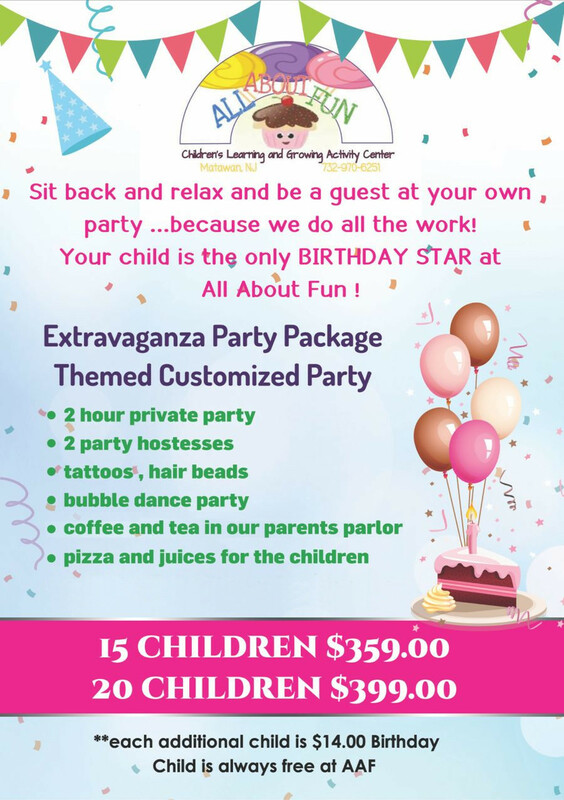 Includes: 2 hour private playtime, party host(s), special birthday hat chosen by birthday child to wear during the party, temporary tattoos & hair beads, child friendly music, bubble machine, themed activities, pizza, juice, water, themed cake, white paper goods. 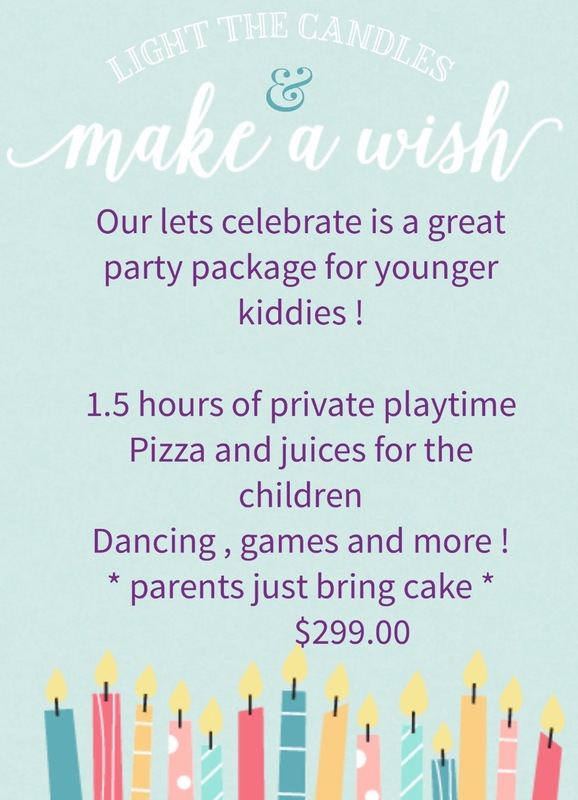 Includes: 1.5 hours private playtime, party host(s), special birthday hat chosen by birthday child to wear during the party, temporary tattoos, child friendly music, bubble machine, themed activities, pizza, juice, water. 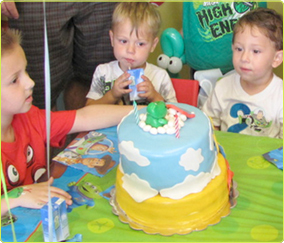 Just like our extravaganza package, this party has it all. 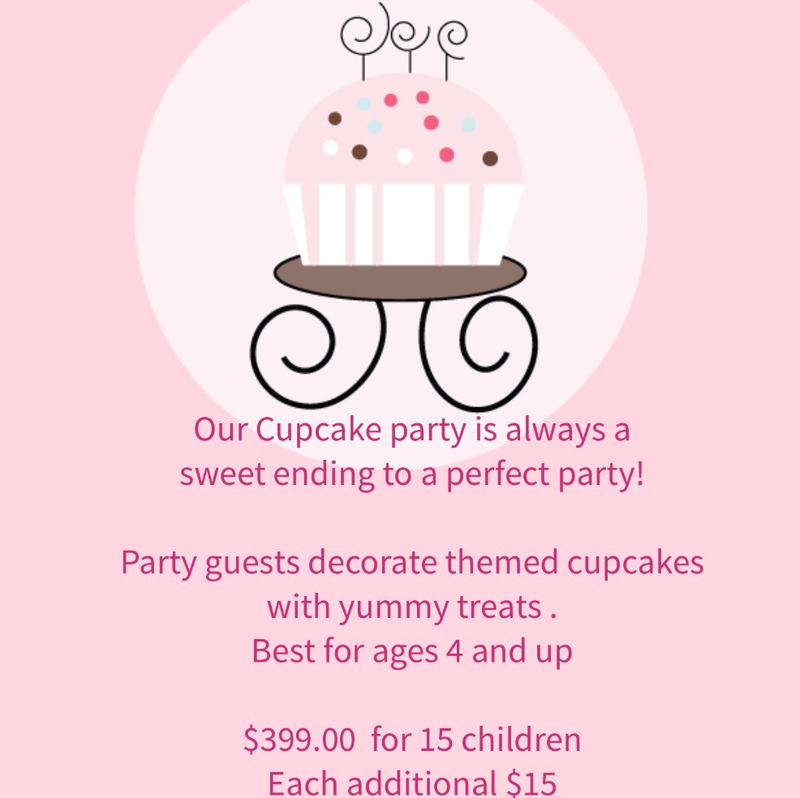 Each child will decorate their own cupcake with yummy treats. Party is complete with pizza, juices, and water. 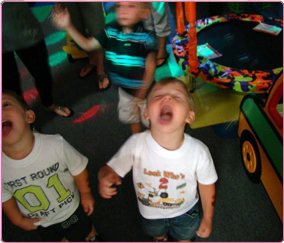 Private playtime with bubble dance party, games tattoos, hair beads. Complimentary coffee & tea for parents in our parents parlor. All little girls turn into the princess of her dreams. A walk down the red carpet to princess music and bubbles makes dreams come true. What little boy hasnt dreamed of being a pirate?Find buried treasure...save a princess! for little Divas and rockstars who enjoy being creative and have loads of FUN with music. A whimsical party filled with magic and wonder. Turning all into fairies. Fresh Beat Band Calling all FB fanatics...we are!! Dance...sing and cool off with groovy smoothies. We promise it will be a GREAT DAY!! Tattoos, snowflake glitter makeup and hair beads, snow sisters inspired games, decorated party room, pizza, juice & water for the kiddies, custom themed cake/cupcakes, complimentary coffee/tea, special gift for the birthday child.